This is our newest addition to our cunucu villas and is our largest property to date. 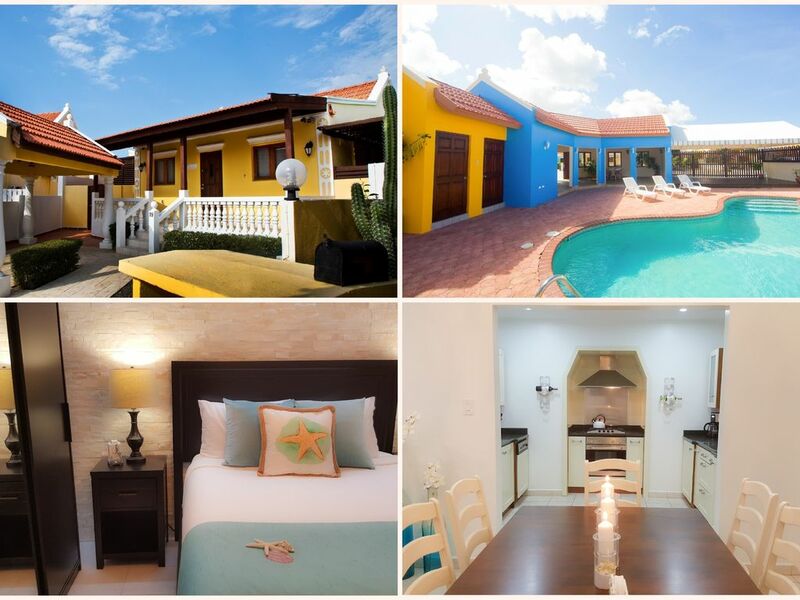 This fully renovated unit in 2016 has everything you need for a perfect vacation in Aruba. Different from our other houses, this house has a private Jacuzzi, while you will also have access to the shared pool. The house is ideal for family gatherings or shared vacations with your friends. The colorful neighborhood is only a 5 minute drive from the beaches, the restaurant area, the shopping malls and basically from everything else. We will make sure you will have a excellent stay with us! Modern, comfortable home away from home! From booking to check out, we had the absolute best experience renting this beautiful home that is just a mere 15 mins drive away from the airport. Rudger was very prompt and courteous in responding and booking was a breeze. Upon arrival, we met Tommy who was so wonderful! He took the time to walk us through the property and encouraged us to contact him via WhatsApp (super convenient!) in case we needed anything at all. One night, my son was super sick and we had to get new bedsheets. Tommy showed up promptly with no questions asked. Each of the rooms is decorated in a homey yet modern way. Two of the three rooms is an ensuite and the third room has two super comfortable beds with a bathroom right beside the room. We didn't get a chance to use the hot tub but it was pretty neat that it was available. The kitchen was stocked with utensils and bowls so we drove to the nearby grocery store quite a few times during our stay. The TV in the living room is a smartTV which enabled us to log into our Netflix and entertain my 3yr old as we got ready in the mornings. Rudger was also kind enough to check up on us multiple times during our stay and sent us numerous restaurant suggestions. There is also access to a quiet swimming pool within a 3 minute walk which we used a few times. I would absolutely stay here again the next time we are in Aruba as we felt like it was our second home. Thank you Tommy, Ursula, and Rudger for making our stay a wonderful one.